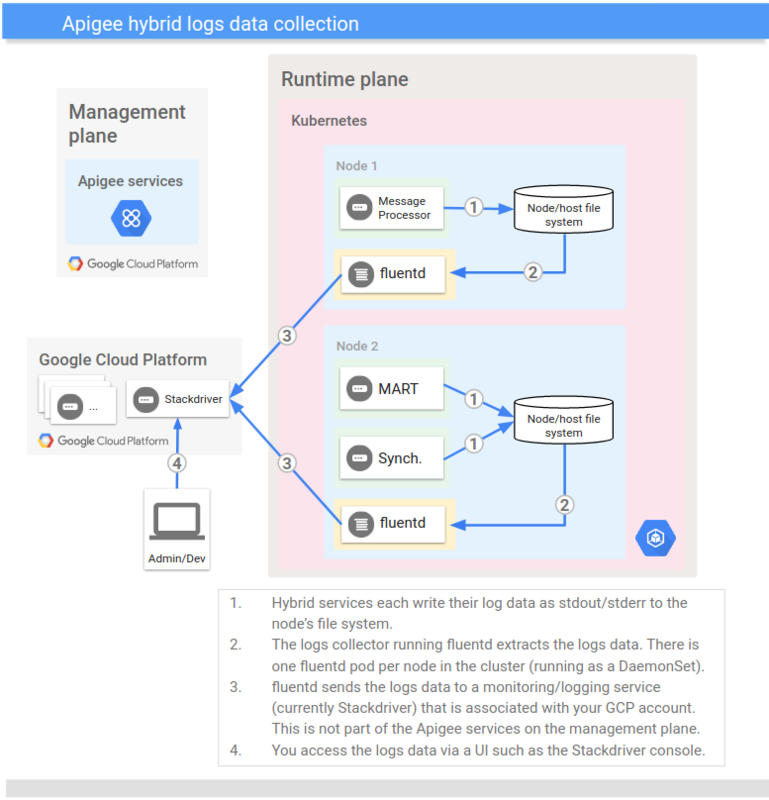 All of the Apigee hybrid services that run in your Kubernetes cluster output operational log information. This log information is useful for troubleshooting and debugging. For example, if a service pod's status indicates a problem, you can look at the log files for that pod to gain insight into the issue. Apigee support may request you to provide log information to diagnose and solve a problem. Each runtime plane service writes log data to stdout/stderr, and Kubernetes writes this data to the host filesystem. A logs collector for hybrid runs on each hybrid node. 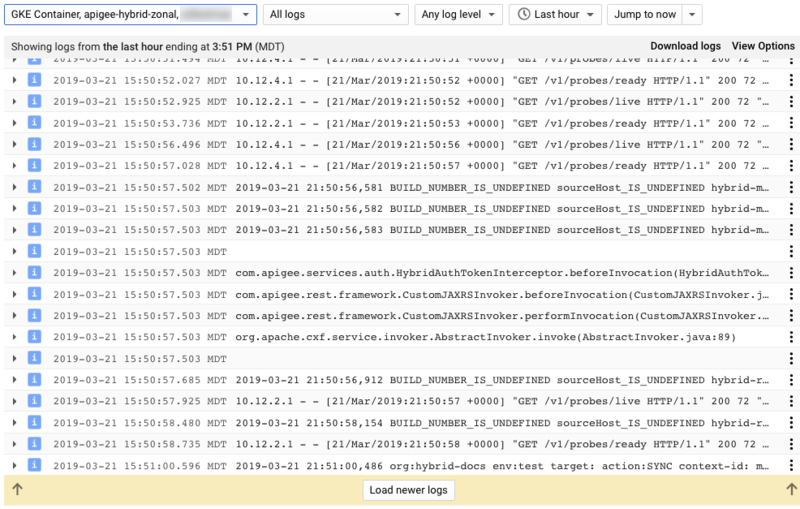 The collector is a DaemonSet (replicated once and only once per node) whose job it is to collect the written log data and export it to the Stackdriver Logging application associated with your GCP account. This section describes how to enable logging for your hybrid deployment. sa_json_file_path is the path on your filesystem to the service account JSON file that you just downloaded from GCP. GCP_project_ID is your GCP project ID for the project where you want the log entries to be sent to. cluster_region is a GCP region name. The name must be in the standard GCP region format. You must specify the closest GCP region to where your cluster is located. Locate the service account ID in the list. The service account roles are listed there. If you are on GKE, logs are automatically sent to Stackdriver provided your configuration is correct. If you are not on GKE, you need to enable logging first. See Configure logs for a non-GKE deployment. Go to Stackdriver Logs Viewer. For more information, see Viewing logs in the GCP documentation.